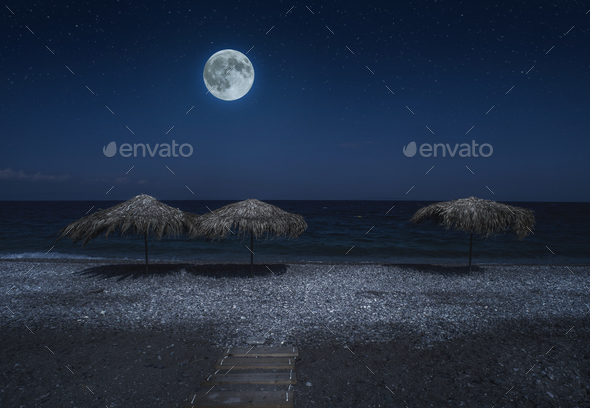 Straw umbrellas on the beach in the night. Moonlight on sea. Night starry sky.